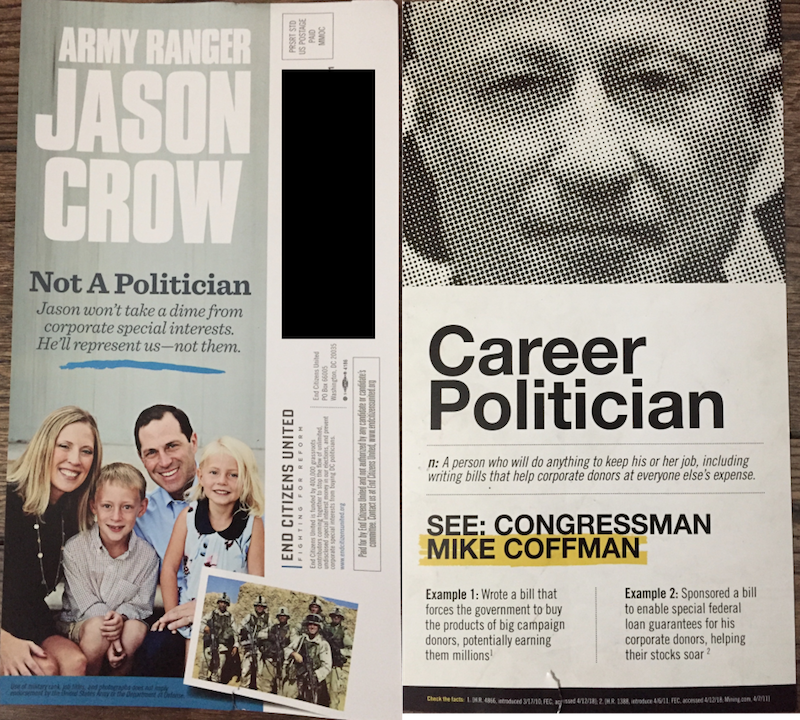 This mailer from super PAC End Citizens United says Democrat Jason Crow isn't a career politician and won't take money from special interests on one side, featuring a photo of Crow with his family. The other side presents a grainy photo of GOP incument Rep. Mike Coffman with the words "Career Politician." The mailer cites resolutions in 2011 and 2010 resolution to encourage mining sponsored by Coffman that never passed.